You’ll find out why you should download Movavi Video Editor Plus. When you want to start using video editing software, it’s important to make the right choice, whether you need a good movie maker or just a video cutter. There are a number of programs like Movavi Video Editor Plus and Filmora Video Editor that offer interesting and useful features and include valuable add-ons, but everything is relative. That’s why we’ve come up with Movavi Video Editor Plus vs. Filmora Video Editor review to help you see the functionality of both and make the right choice for you. Working with video needs to be full-functioned yet easy, especially if you are a beginner. It’s possible to download trial versions of both programs and try them for free before you decide to buy either of them. Here, we’ve compared the licensed full versions of both programs. The latest versions of both programs look quite similar, but there are some significant differences for those who are not pro-level users. 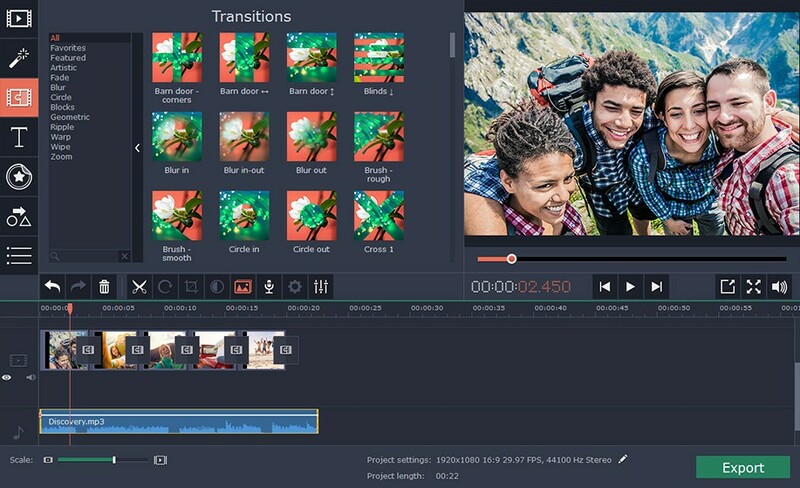 In Movavi Video Editor Plus, the buttons are large and the most often-used functions are always on screen. For example, if you want to pixelate or blur some part of a video, you’ll find a big Highlight and Conceal button on the first screen. But you’ll spend much more time looking for this feature in Filmora, because it’s hidden among other effects in a window that’s accessed via a small Power Tool button in a narrow panel. It’s not obvious at all. It’s clearly easier to find how to use common functions in Movavi Video Editor Plus. Let’s take a closer look at the input and output features in the Filmora and Movavi video editors. Both editors support 4K video and even let users save the videos for their devices by choosing the phone or tablet model from a list. 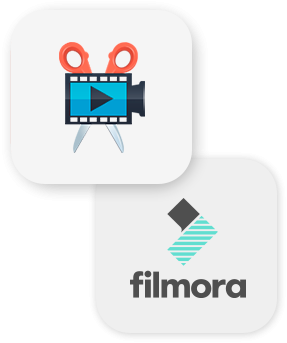 Filmora and Movavi video editors can both read a wide range of video and audio formats, such as AVI, MOV, MP4, FLV, AAC, MP3, and others. It’s a valuable feature in both programs, because you may be faced with the need to edit videos in some rare format. Both editors have a number of similar recording functions, but still, differ in some areas. Both programs capture video from camcorders and webcams as well as record audio. But only Movavi Video Editor Plus captures video from TV tuners and VHS, and it’s a valuable option for those who want to digitize TV programs and cassettes. Screen capture functionality is available from Movavi in a separate program. The table below shows many of the options and effects included in the two editors. This list isn’t comprehensive but contains most significant capabilities. It’s obvious that the editors have many common features. They both let you trim and split videos, communicate using titles, apply various filters and transitions, add and edit audio tracks. What about the differences? Let’s start with the special effects available. 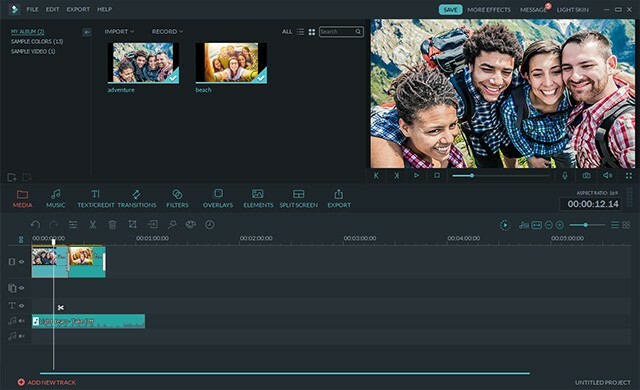 In Movavi Video Editor Plus, you have an opportunity to apply animation to video clips, titles, callouts, and stickers, which can significantly enhance video presentation but is not available in Filmora Video Editor. There is also a difference in the way Chroma key works. In Movavi Video Editor Plus, when you place a clip onto the overlay track, you can choose the color of the background to be replaced, while Filmora Video Editor only lets you replace green screen. On the other hand, Filmora has multiple presets for the split-screen effect, whereas Movavi only supports splitting the screen into two parts vertically or horizontally. There are some differences in audio editing features, too. Only Movavi Video Editor Plus offers sound normalization and includes a tempo detection function for adjusting the length of clips and pictures to match the music – Filmora Video Editor does not offer this capability. In terms of OS support. Filmora requires that you have the latest versions of Windows or Mac OSs. But there are still many users who prefer older versions, and Movavi offers software for them, too. Both companies offer high-quality web-based customer support. You can find many regularly updated tutorials and manuals on both sites, or ask for help via email. Only Movavi makes specialists available to answer your questions via Live Chat, which is useful when you need to find a solution to a problem quickly. Both companies also have forums and communities, where you can learn about updates and discounts. While working with both programs, we’ve generally found that it’s much easier to use Movavi Video Editor Plus, because it provides step-by-step guidelines for editing your videos right in the program window. Beginners will find it much quicker and easier to get up and running with the program. Both programs cost almost the same, and they are both good value for money. Both also offer free trial versions so you can evaluate the programs (there are no differences between free vs paid versions in functionality, but watermarks are added to videos in the trial versions). 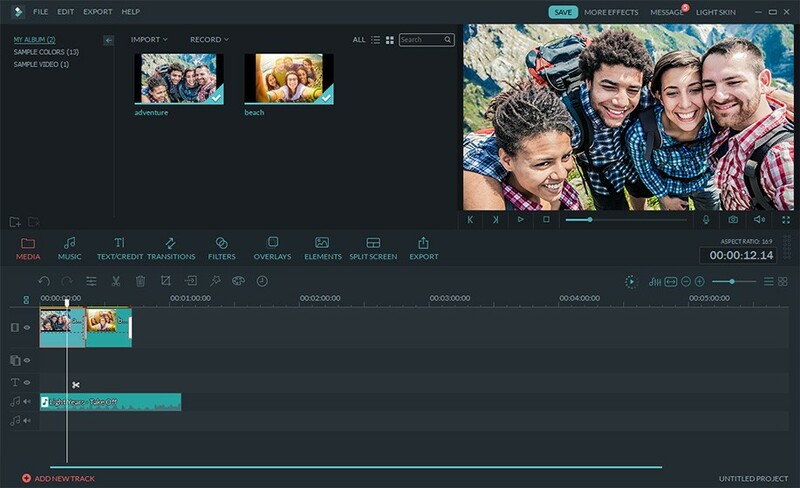 Movavi Video Editor Plus is a good alternative to the Filmora app and has a few significant advantages for some users, so you can choose the program that best suits your needs.